No, the IOC is under no obligation. A Swiss cantonal court, in a little-noticed piece of separate but related litigation, has already ruled this week for the IOC in this matter. Expect more litigation. Expect the IOC to keep winning. On Saturday, of those 28, spokesman Mark Adams said the IOC had referred 15 files to the special panel it had set up to review invites, 13 athletes and two coaches. Those two coaches were athletes in 2014. About that, because IOC president Thomas Bach has made it abundantly plain he wants a “new generation” of Russians — that is, “Olympic Athletes from Russia” — here in PyeongChang. On to No. 2, and unpacking the variables here involves some measure of what in the United States we would call inside baseball — that is, the connections and intersections of CAS, the IOC, the World Anti-Doping Agency and more. Plus, with apologies in advance, an unavoidable turn to process and legalisms. For all that, it’s remarkably intriguing. WADA was set up in 1999, funded equally by the Olympic movement and by governments. The World Anti-Doping Code came into force in 2004. Talk about process — getting sporting and governmental authorities around the world to draft and then agree to the code was a huge process that literally took years. The Code has since gone through a number of updates. It should be noted, by the way, that every time someone screams on Twitter or elsewhere for “change” — such change must work through the Code revision process. Otherwise, different entities would assuredly be freelancing and the anti-doping protocols in country A might well be different than B, or in sport X different than Y. Now they’re consistent, because of the Code. It’s the implementation and execution of those rules that is frequently an issue. That is, typically, three-member panels — tribunals — rule on cases brought by, say, athletes or sports federations or the IOC. They make rulings the way courts or appellate courts issue decisions. After CAS, there’s one final avenue of appeal, to the Swiss Federal Tribunal. The system is set up so that such final appeals are not common. By design. Typically, it’s an athlete going to the Swiss Federal Tribunal, claiming that he or she was denied a fair hearing or didn’t get a reasoned decision. This, then, is the first branch of the decision tree now confronting the IOC. Of course, that’s what WADA did: the McLaren Reports were clear in their assertions of “institutionalized manipulation,” and Mr. McLaren himself was one of the witnesses who testified before CAS (there were two panels). Usually, because it’s their system, the IOC (or WADA) is the party asserting (conversationally here), CAS is good, CAS is great, therefore you critics, criticize all you want but the decision is what it is and it not only should stand but will stand and must stand. There’s always a tension between, on the one hand, the sports world, which wants and craves as much autonomy as possible, and on the other, governments. It’s inevitable that sports and politics mix, and on all kinds of levels; indeed, in most countries, Olympic sport is run as an arm of a federal ministry. 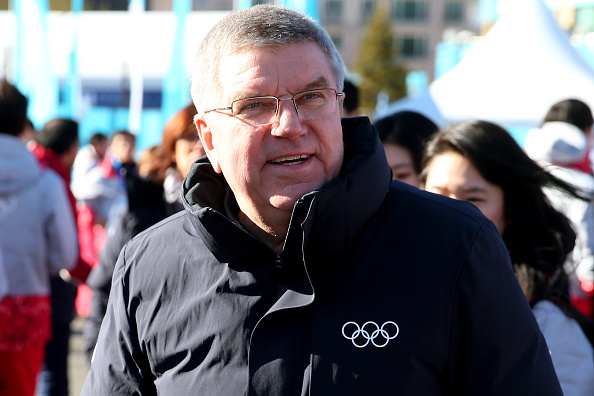 Even so, the IOC insists, and ferociously, there be autonomy when it comes to the governance of Olympic sport. That position, from the IOC point of view, has merit. The fear: give the governments an inch and they’ll take not just a mile but take over entirely, meaning goodbye to any notion of autonomy. Of course, the Swiss Federal Tribunal is a branch of government. Given that, why in the world would WADA (or the IOC) remotely consider an appeal? Now for the real inside baseball. The key to breaking the code is the second sentence, and the reference to biathlon, the ski-and-shoot sport. There’s a separate procedure because of two of the names in that first sentence: Vedder and Geistlinger. The CAS ruling Thursday re-ordered the Sochi 2014 medal standings. Russia is now, just as it was at the conclusion of those Games, back on top of the medal standings, with 29 overall, 11 gold. There is, to put it gently, a great affinity between Russia, biathlon, the sport’s fans and the sport’s world governing body, the International Biathlon Union. The Russians do a great job hosting biathlon events; there are lots of biathlon fans there. Vedder is chair of the IBU anti-doping hearing panel. Geistlinger, among other accomplishments in an extraordinary career, served as legal adviser (1998-2008) and secretary-general (2004-08) of the IBU. Note the word “accession.” Most western accounts would say Russia "annexed" Crimea in early 2014. This abstract, along with Geistlinger’s C.V. and Vedder’s current IBU role — all this is a matter of public record. The issue at hand is whether — to put it simple terms, not legalese — this fight was stacked from the get-go. This is where lawyering and legalese intersect with common sense. What, for instance, might “no particular connection” mean? Who is a "party" to the matter? Quickly now: without evidence, real evidence, suggesting the fight was turned one way or another, the only thing critics might be able to point to are connections among Russia, IBU and the two arbitrators. For the record: this space is not accusing either of these learned gentlemen of any impropriety, misconduct or wrongdoing. Without more, there is no indication, none, of any such thing. Before CAS arbitrators are appointed, they are vetted. Which means they fully disclose all involvements and conflicts. Did that occur in this instance? Assuming (since a simple public record search makes even this sort of inside baseball easy to find), how — given the stakes — did the IOC proceed nonetheless? Yet more perplexing to some observers of the IOC and the entire CAS system is that Bach is a seasoned lawyer and for 20 years, 1994-2013, served as chair of the CAS appeals division; Australian IOC member John Coates, from 2013 to 2017 an IOC vice president and still one of Bach’s key advisers, chair of the IOC panel checking on progress of the Tokyo 2020 Summer Games, oversees the operation of CAS. And yet one more follow-up: an IOC appeal to the Swiss Federal Tribunal carries a very real risk of creating deep and perhaps unfixable cracks at CAS. Not hyperbole. So what is the IOC, in real terms, to do? Back, ladies and gentlemen, to point No. 1 — a fight the IOC would seem very likely to take up. Because there it looks like a win. Newer PostWho wants to blame the USOC? Exactly -- why?